It’s normal to think that you can bring your normal makeup and moisturizers along with you when you go to the beach and that you will still look great. Unfortunately, the change in humidity, the salt on your skin, and the damage from the sun can all negatively affect your skin. 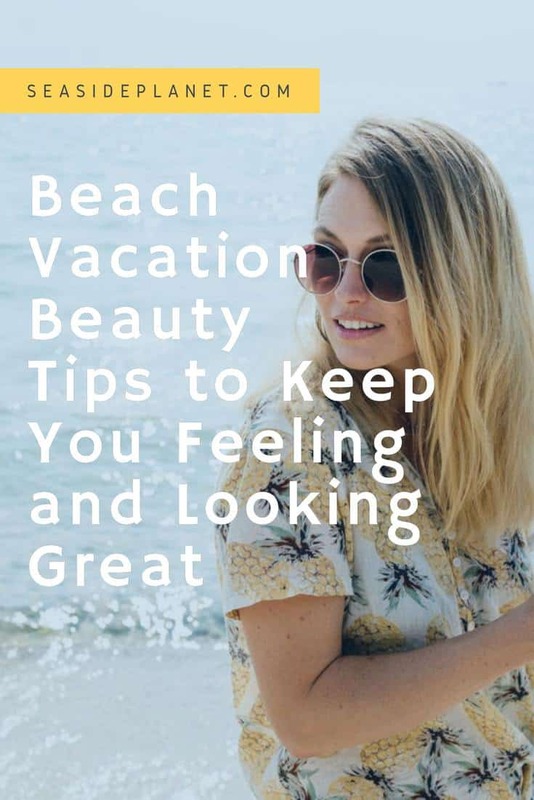 It’s a good idea to plan ahead for your beach trip and to keep in mind these beach vacation beauty tips so that you will look and feel as incredible as possible. I scoured the internet to provide you with some great tips so that you will look and feel amazing while you are on vacation. 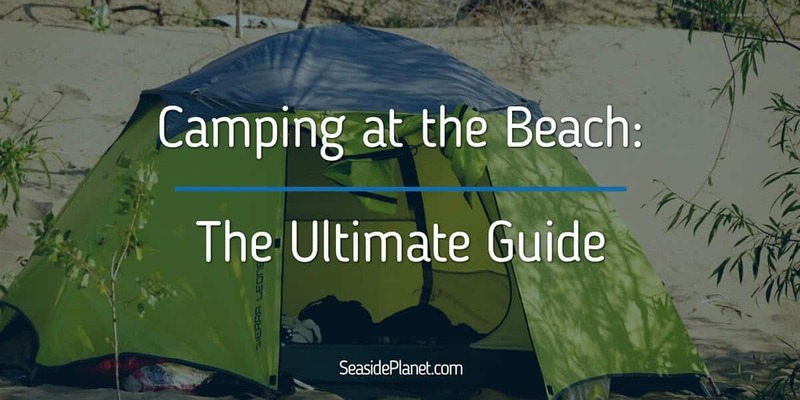 While some people love to go au natural at the beach, by embracing these tips you can make sure that you look great and are ready for a night out, shopping in town, or simply snoozing the day away while listening to the waves. One thing that many people don’t realize is that they need to start exfoliating before they get to the beach in order for their skin to look smooth and clear. It’s normal for people to think that they can start exfoliating once they are on their trip, but this won’t provide you with the best result or the smoothest and healthiest skin. You will actually want to start full body exfoliating about three weeks before your trip. While this may seem like a long time to exfoliate before you actually get to the beach, this is the best way to make sure that you don’t have any dead skin creating a dull appearance on your body. Moisturizing with a great lotion after you exfoliate will provide you with lasting hydration and ensure that your skin looks incredible in a bathing suit. 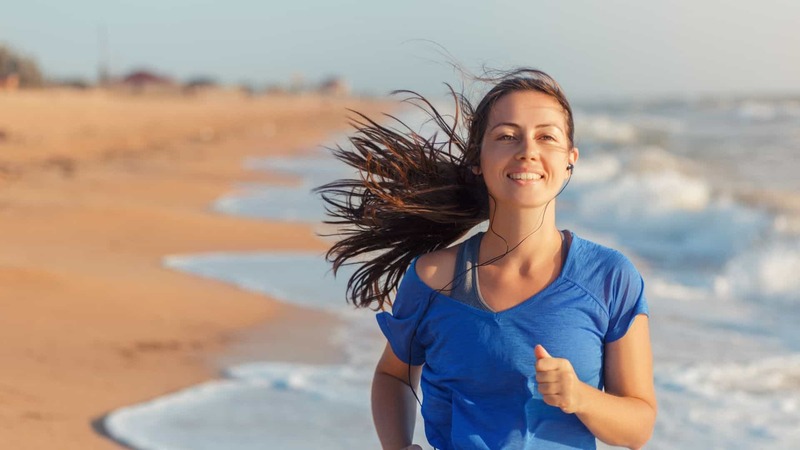 Unless you are already tan from being outside during the day or have naturally tanned skin, you will want to get a healthy glow so that you will feel confident when spending time on the beach. Exposing your skin to the sun all day long in order to tan isn’t a good idea and can result in a number of health problems, which is why you need to start your faux glow about two weeks before your vacation. You’ll want to use a product that gradually will build color on your skin when it is applied, not simply darken your skin with one application. This will result in a much more natural look and will boost your confidence. Additionally, it’s much harder to miss spots or have streaks when you use these products. About a week before heading to the beach, you will want to give your hair a trim. All of the salt water, sun, and chlorine can be very damaging to your hair if you are not careful. While a preemptive cut may not sound like it will do much to help you, this is a great way to protect your hair. Any split ends that you have will only exacerbate the problems that your hair experiences when you are at the beach. By removing split ends, you will be able to ensure that your hair will look the best possible while you are at the beach. 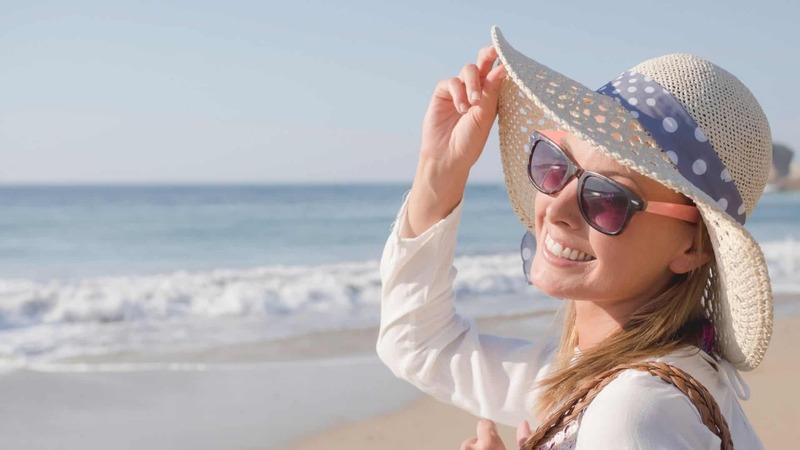 While it may be tempting to let your hair blow in the wind all day long, protect it with a hat or scarf to ensure that it isn’t damaged while you are on vacation. There are also some wonderful hair products formulated for beach weather. All of your hard work getting ready for the beach and feeling great in your bathing suit will be for naught if you don’t protect your skin. The right sunscreen or tanning oil won’t feel greasy or weigh you down, which will make you feel more willing to apply it to your body. You want to make sure that you protect your skin so that it doesn’t peel and that you don’t tan unevenly. 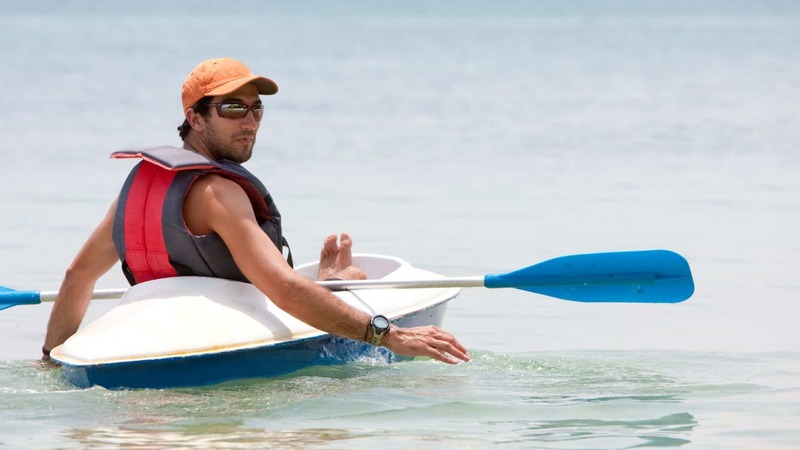 Make sure that the sunscreen you choose covers UVB and UVA rays. This will ensure that you don’t have to deal with peeling skin on your face or body and that you will keep your skin as healthy as possible. Right before your beach trip or on the first day when you arrive, you will want to have your fingers and toes polished. Nothing looks better than a fresh pedicure and manicure while at the beach, and this is a very fun time to choose bright colors and designs that may stand out too much at the office. Because you’ll be showing off your feet, you want to make sure that they are exfoliated and smooth, and the best way to do this is to hire someone to give you a pedicure. If you’re just not comfortable going out of the house without makeup, and you still want to wear some while at the beach, then you can do that, but only if you know the right way to do so. You’re not going to feel great wearing a lot of heavy makeup, as this will not only make you feel out of place while on the beach, but it will also weigh you down and be uncomfortable in the sun. Instead, swap out more of your products for lighter versions, such as a light lipstick or eyeliner, and skip the blush and bronzer. A few other tips that you will love and will keep you looking great are to use a high-quality waterproof mascara, opt for a face lotion or foundation that doubles as a sunscreen, and remember to walk barefoot on the beach. This will help exfoliate your skin during your vacation and keep your feet looking great. 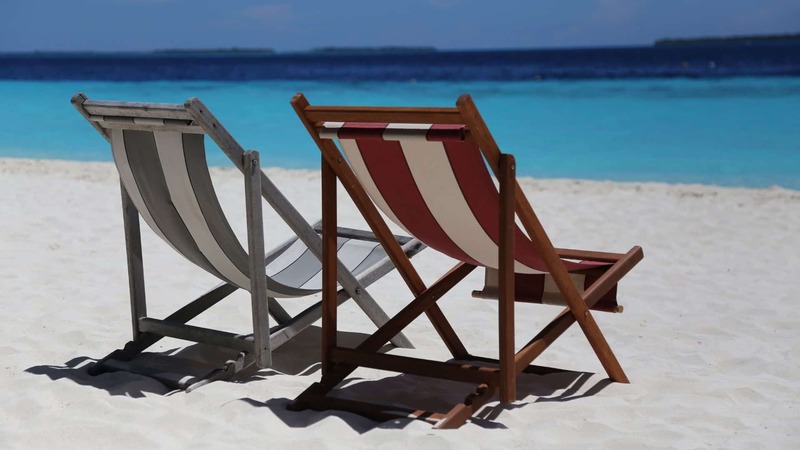 Planning ahead for your beach vacation will ensure that you feel great while on your trip. Try out these beauty tips and you are sure to feel confident and attractive. While some of the tips require preparation in advance, they are designed to optimize your vacation. Some recommended products may use affiliate links. 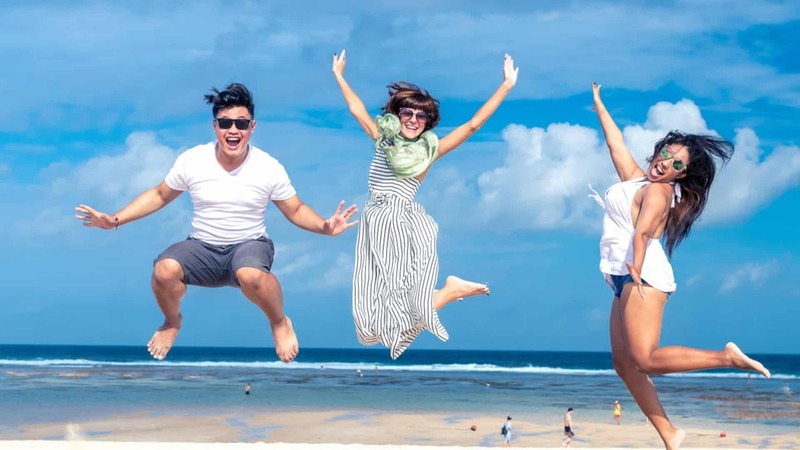 SeasidePlanet.com is a participant in the Amazon Services LLC Associates Program, an affiliate advertising program designed to provide a means for sites to earn advertising fees by advertising and linking to Amazon.com. Amazon and the Amazon logo are trademarks of Amazon.com, Inc or its affiliates. Copyright © 2018-2019 Seaside Planet | All Rights Reserved.